Our Practical Nursing program begins the first Monday in August of each year, and runs through the end of June the following year. Applications may be picked up at the PN Program at 135 Plaza Dr, Sikeston, MO, found on-line, or may be picked up at the SCTC office from October through February each year. The cost of the program is $10,000 and is eligible for Federal Financial Aid. The tuition includes testing fees, insurance, books and uniforms. Students are required to purchase a watch with a second-hand, a stethoscope and proper footwear. Expected additional costs would be about $100 for supplies. There is a $75 application fee that is non-refundable. This course consists of 48 weeks or 1400 hours. This program is for adults, 17 years or older, with a high school diploma or GED. The class will meet eight hours per day, four days per week. The course is designed to give the student a basic knowledge of practical nursing and related subjects and an opportunity to apply this knowledge in a clinical situation. Theory areas include body structure and nutrition, microbiology, administration of medications, and geriatrics. Fundamentals of nursing include practice of basic nursing procedures in laboratory and hospital situations. 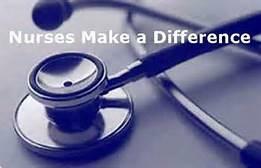 Clinical nursing includes medical/surgery nursing, mothers and newborn care, nursing of children, and pharmacology.